What can you expect in Croatia? 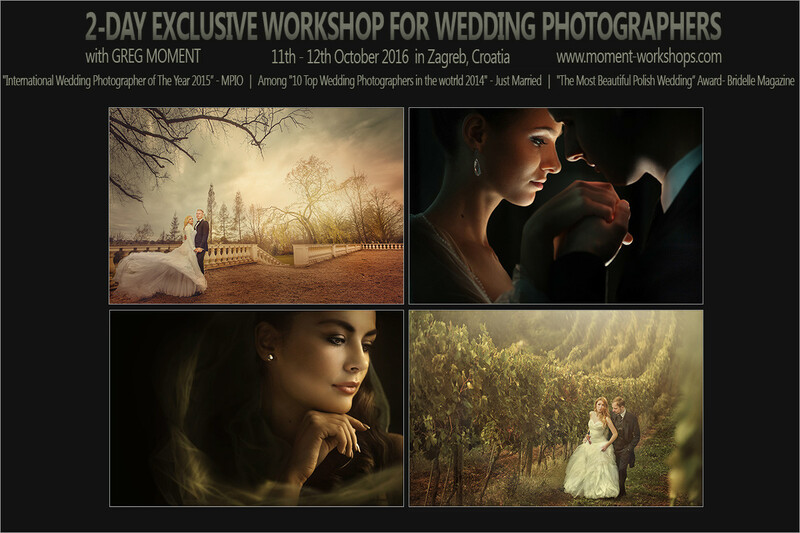 This time Greg Moment (www.moment.com.pl) provides two-day-long workshops for wedding photographers in Zagreb. Regular fee: 300 EUR. Group 10-15 photographers. Early birds: 230 EUR!!! (paid before 25.09.2016. - the deadline has been extended!). 130 EUR deposit is required to reserve a seat.